It’s been a great joy and a blessing to be able to play for so many people over the years. Whether it’s a concert, one of many different types of engagements, or in the privacy of my own space, playing the harp is what I love to do. 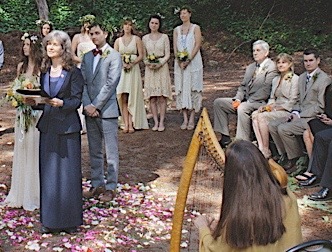 There seems to be no end to places where harp music can enrich the environment: weddings, gallery openings, conferences, fairs, festivals, birthday, anniversary and tea parties, funerals, baby blessings, hospitals, rehabilitation centers, nursing homes and restaurants. 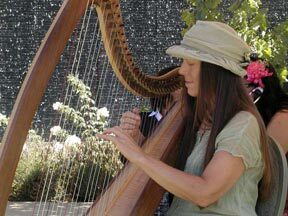 I’ve found the harp can calm things down, liven things up, and always seems to add a very special spirit and elegance. Every wedding I’ve played has been as special and unique as the people who are being wed, and it’s always an honor for me to play at a couple’s wedding. 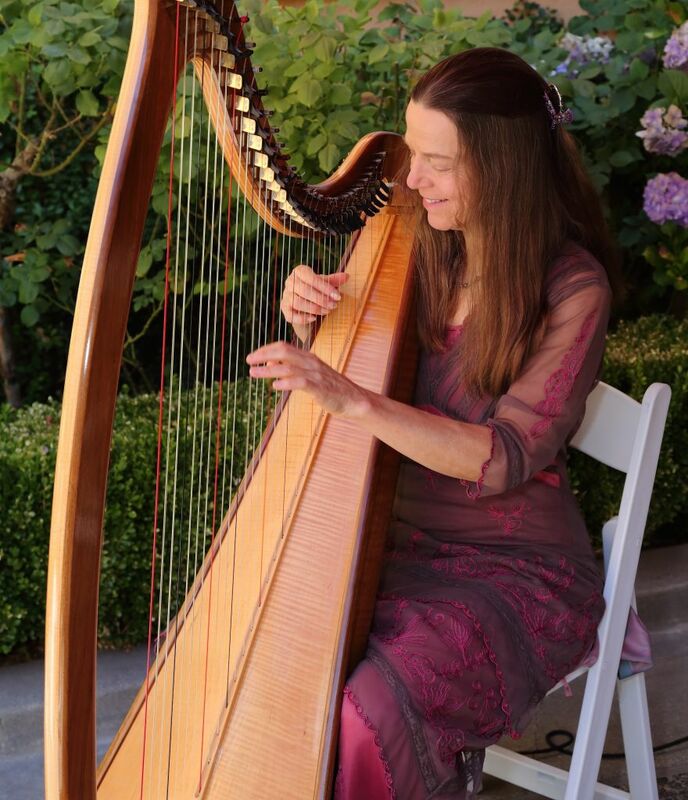 I’ve played harp at hundreds of weddings: traditional ceremonies, ones where the couple have created their own rituals and harp music accompanies poetry, candle-lightings, prayers or meditations. I’ve played elegant weddings in fine hotels, and ceremonies out in nature on mountaintops, fields, and by the sea. 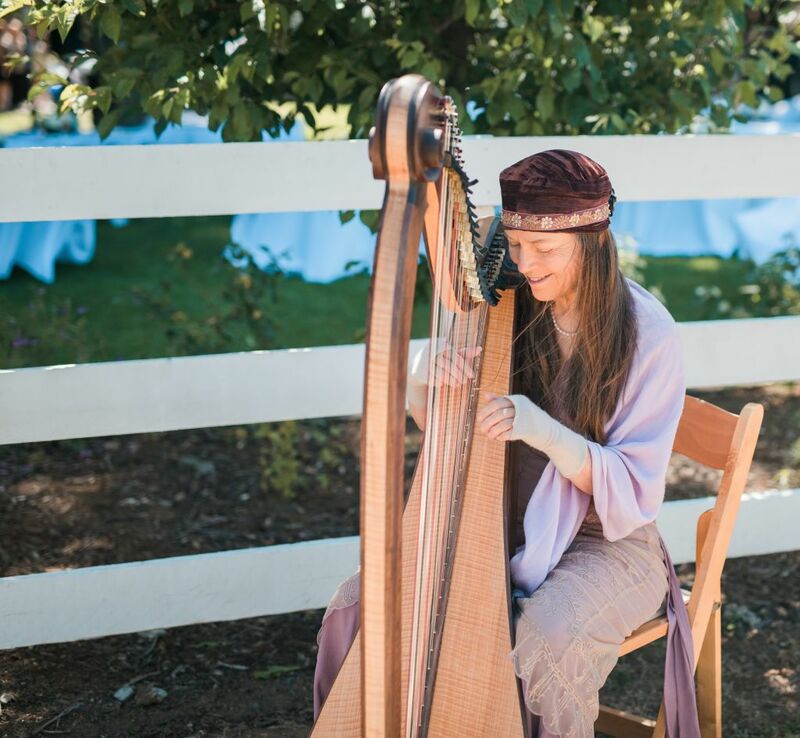 I always aspire to connect the harp music I play to the bride and groom and their wedding party, and to set the right mood for their guests before the ceremony, or for the reception. 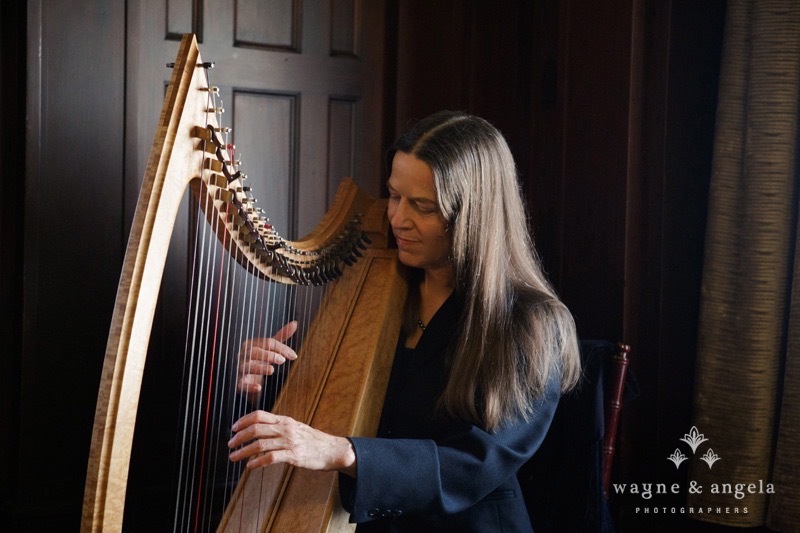 Whether it’s playing for the sick in a hospital, to help celebrate the holidays, to enrich an art opening, for a baby’s christening or a group of senior citizens at a nursing home, the beauty and magic of the harp can enrich a gathering. 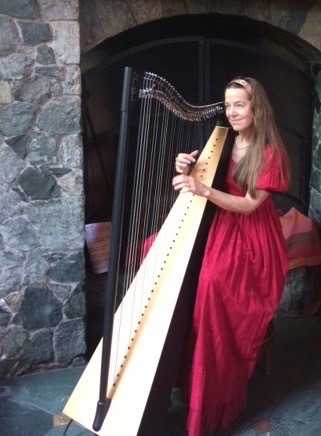 I look forward to sharing my harp music with many new friends over the years.